Yoga asanas are practiced in India since time immemorial for physical, mental and spiritual well-being. In the modern age, our sedentary work life impairs development of the body and the mind which is also the root cause for many ailments. Yoga asanas focus on the unique synergy of the respiratory system to generate oxygen into the blood stream. Elsner as a ‘people oriented company’ arranged a Yoga session for its employees on Friday, 3 April in its office premises. 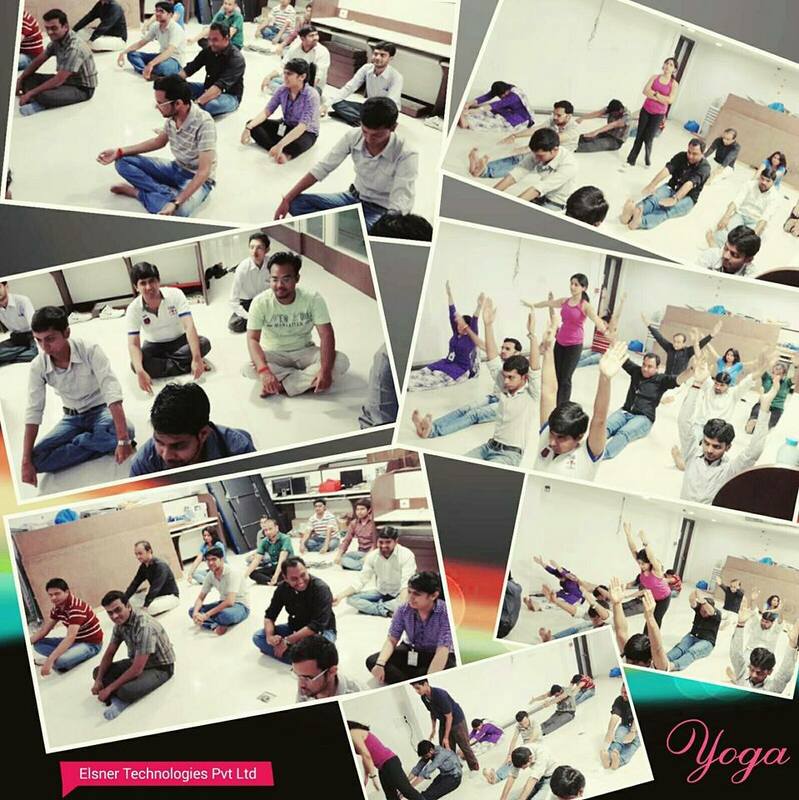 Picture some of the happy employees during the yoga session below.